Amity Institute For Competitive Examinations (AICE) is located at Vasundhara, Ghaziabad. We aim at providing the best coaching for various competitive exams. Proper classroom seminar and presentations are conducted. 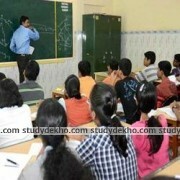 We provide detailed instructions regarding the exam dates and the syllabus. Amity Institute provides all the study material and test papers. These competitive exams involve negative marking as well, so it is very important to explain which questions need to be attempted and which not. These exams are to be attempted within a time limit, the student must be quick with the solutions to attain good results. We work together to build a healthy environment and make our students comfortable. Learning is only possible and successful if the student plays an active role in its process. Learning should be meaningful; matter should be understood and critically analyzed making it quick for the brain to grasp.